In Admin Settings, select Users. 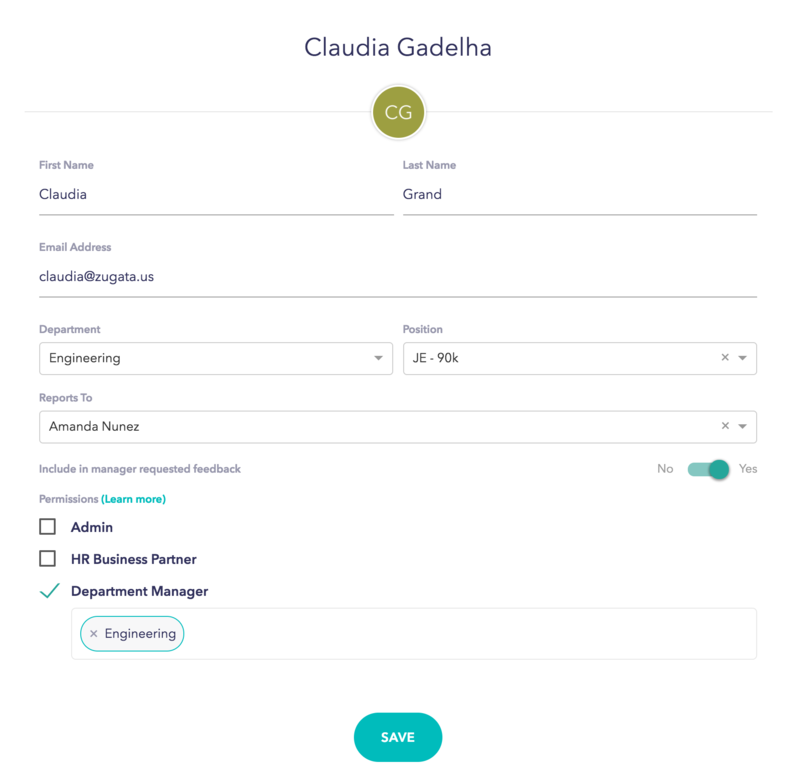 Go to an employee and at the bottom you can designate which department to assign this employee as a department manager. Also in the Admin Settings, you are able to click on "Goals" to see all of the Individual Goals created as well as filter by department, manager, etc. More stats for goal tracking are coming soon. 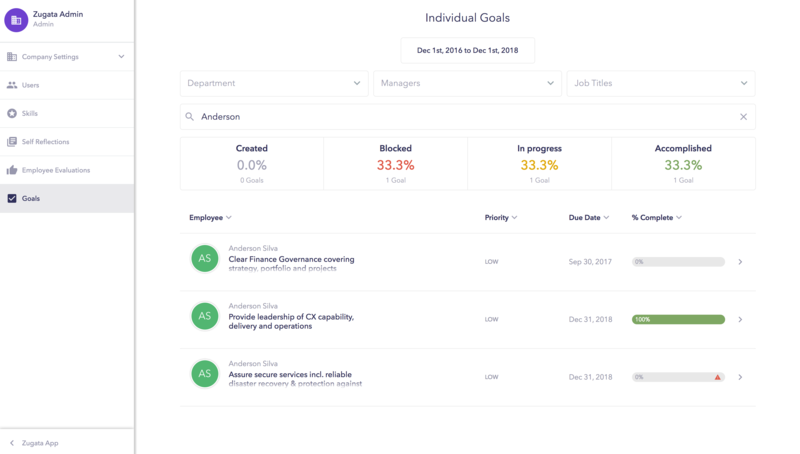 On the employee side of the app, go to "My Company" to see Department and Company goals. You can create any number of them for employees to view. Employees can see goals for their departments only.